This must have been very hard light to manage, and you used it wonderfully. 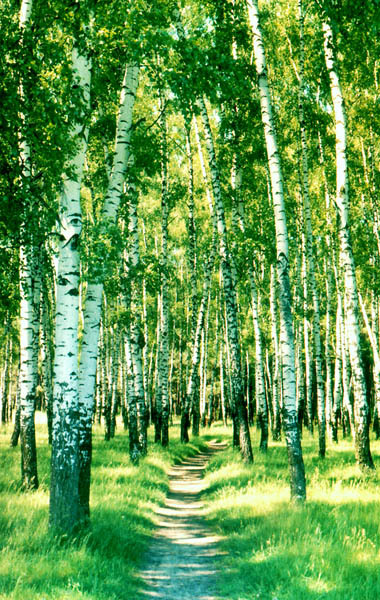 What I really like are the shadows crossing the path that in a way mimic the stripes on the birches. WOW! !